Welcome to Dana Bali Tour, it is an experience and professional travel agency in Bali Island which managed by young entrepreneur has 8 years experience in Bali Tourism Industry. We are proudly launch danabalitour.com as your travel assistance whilst you make a holiday in the Island of Bali. Bali Tourism keep abundance of Bali Tourist destination which unique and stunning. Besides of the natural beauty, Bali has very strong culture and tradition which is always preserved by the Balinese, so not sprisingly if culture and tradition of Bali become the tourist attraction in the island of Gods. Bali is dominated by Hindu religion and in Bali island has a thousands of temple which make Bali is known as island of Gods. Balinese people is very friendly and very welcome to the tourist who visit this island, so that's why tourism industry growing up properly in this island. We have provided Bali Tour Package, Bali Activities Package, and Beyond Bali Package to assist you during your holiday in Bali such as Nusa Penida Tour, Nusa Lembongan Tour, Kintamani Tour, Bedugul Tour, Tanah Lot Tour, Lovina or Singaraja Tour, Jatiluwih Tour, Karangasem Tour, Ubud Tour, Uluwatu Tour, Bali Zoo Tour, Bali Rafting Tour, Bali Cycling Tour, Bali Safari & Marine Park Tour, Bali Elephant Ride Tour, Bali ATV Ride Tour, Fast Boat To Gili Trawangan or Lombok, Fast Boat To Nusa Penida, Fast Boat To Nusa Lembongan, Komodo Island Tour, Mount Batur Trekking, Mount Bromo Trekking, Mount Ijen Trekking, and Jogjakarta Tour Package. West Nusa Penida Tour is one option to explore Penida Island include Kelingking Beach, Angel's Billabong, Broken Beach, and Crystal Bay. Special Package Nusa Penida is specially designed to comply with visitors who would combine island tours and snorkeling. East Tour Nusa Penida is one option of a full day Penida Island tour package include Giri Putri Temple, Atuh Beach,Raja Lima and Teletubbies Hill. 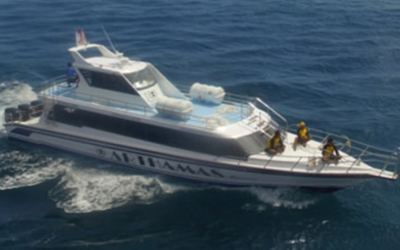 Fast Boat Lembongan offers three times departure schedule from Sanur to Lembongan and return. Fast boat Lembongan provide hotel transfer service. 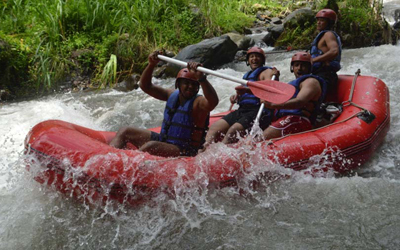 Bali Rafting at Telaga Waja River is one of the most challenging Bali activities in Bali. 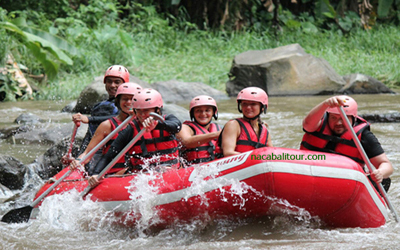 Telaga Waja river is one of the longest river rafting in Bali, it has 14 km. Payung Bali Rafting at Ayung River is one of Bali activities that you can enjoy in Bali . For more than 20 years, Ayung River known as the best Rafting.